Once more into the breach we go and after last weeks frankly dismal showing I live in hope this week that TNA will pull their thumb out and start booking things properly. TNA Telegraph – 14th July 2011 – Would you like fries with that order of dissapoint? After 4 weeks of great X division based action leading to a B+ kind of PPV there's a lot riding on whether Impact Wrestling can maintain this level consistency when they have a wider focus. Last Impact Wrestling before Destination X and there looks like there could be a match for the ages as well as some rather odd bouts. Normal service is resumed this week with a nice in depth look at this weeks Impact wrestling. TNA Telegraph – 16th June 2011 – Jackie said it was reet petite. I said shut up Velvet.. So Slammiversary is all done and dusted with mostly predictable results it was still an entertaining PPV in the main which has raised my expectations of this coming month leading to Destination X. I probably say this far too often but there are some good things going on in TNA at the moment we've just got to hope that TNA realise what those things are. Anyway on to the show itself. Bit of a switch up from the usual TNA Telegraph format and I'll simply run down each segment review style rather than give a more detailed blow by blow account of every bit of action. 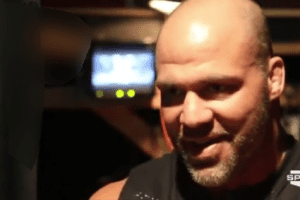 TNA Telegraph – 26th May 2011 – TNA in great wrestling show shocker!! Flying Pig causes chaos at Gatwick!! Welcome to another TNA Telegraph looking back at all of the action of Impact Wrestling's flagship show. TNA Telegraph – 12th May 2011 – Drugs, Kidnapping, Smuggled Midgets And Even Some Wrestling! 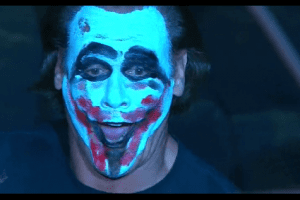 TNA Telegraph – 5th May 2011 – You can’t say we’re bad if we don’t do anything! Your move reality. I can't lie, last weeks show gave me little hope that TNA really has the direction to pull of what seems to be overambitious angles. After what was a pretty terrible week in TNA's last outing it's time to dive into the Impact taping from the 28th of April (this coming Tuesday on challenge in the UK). 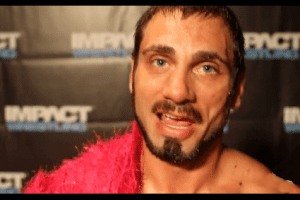 TNA Telegraph: Impact 21st April 2011 – I have a fever and the prescription is more pipe. Welcome along to the third regular instalment of the TNA Telegraph looking back at all the action from the Impact airing 21st of April in the good old U S of A and heading to Challenge in the UK this coming Tuesday. There's spoilers both of Lockdown and obviously the Impact show itself so if you haven't seen the PPV yet read my special report on it here! The internet allowed me to watch TNA's arguably biggest PPV with a degree of leisure and at a less ungodly hour which was good because had I either paid or stayed up for this I'd need more than a double espresso to pull me out of bed.